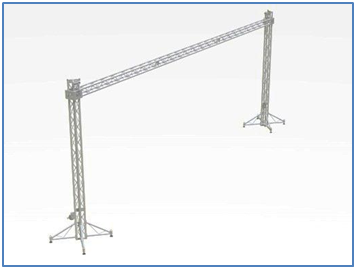 Metalworx Ltd was formed in 2001, the result of a management buyout of the Lighting and Trussing division of Penn Fabrication Ltd (now Penn Elcom). This allowed the new owners to focus time and resources on the development of the structural product ranges, leaving Penn to concentrate fully on its core hardware business. The company is based in St. Leonards on Sea, East Sussex, UK. 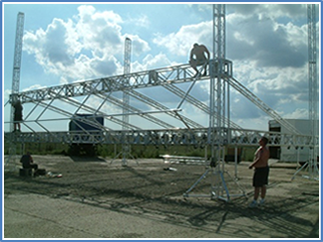 innovative multi-way "cube junction” (no need for hire companies to hold stocks of a variety of junctions), winched carriage systems, and the now famous System 2000 – a realistically priced structural and fully appraised outdoor concert roof system. Under the Metalworx banner, the company has brought its many product advantages to the attention of the exhibition and shopfitting industries, where service, attention to detail, a "can do” attitude and, above all, absolute customer focus, have established them as a "first choice” supplier.